Thank you to Hudson Naves for creating this Portuguese lyric video. Are you interested in having members of Petra and Whiteheart in your house this year?! 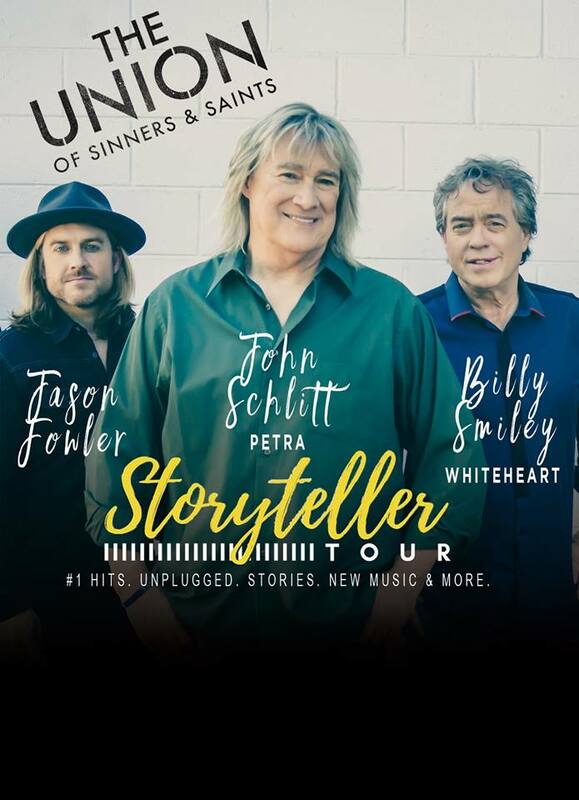 Introducing the new series of concerts - featuring John Schlitt, Billy Smiley and Jason Fowler on the Storyteller Tour - House Concerts! 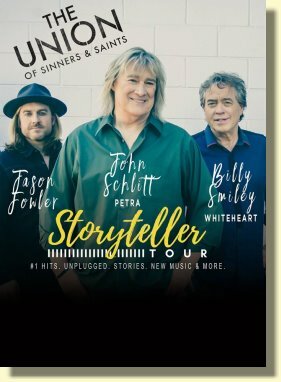 This is an evening of timeless and historic Christian music - the stories are amazing - the songs speak for themselves - the camaraderie between John Schlitt, Billy Smiley, and Jason Fowler - refreshing and entertaining! profit from the event, but loves the history and impact Petra and WhiteHeart has had in their lives. Held indoors or outdoors under a canopy, and usually attended by 40-400 people, depending on the size of the home or venue. The host asks attendees for a suggested donation (you decide the dollar amount). The concert is performed with a small sound system in an intimate, up close and personal setting, bringing old memories together with friends and families and creating new ones! This is the year for The Storytellers - House Concerts - and YOUR house! WOULD YOU LIKE TO SEE YOUR CITY ON THIS POSTER? 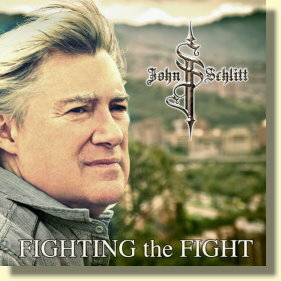 WOULD YOU LIKE TO BRING JOHN SCHLITT TO YOUR CHURCH? 3. John Schlitt backed by Dust & Daisies! Dust & Daisies, comprised of guitarists/vocalists Rob & Debra Solberg, are John Schlitt’s new accompanists, playing all your favorite Schlitt & Petra hits LIVE! The trio brings you an acoustic blend of rockers and ballads from John’s 20+ years with Petra plus favorites off his four solo albums (Shake, Unfit for Swine, The Grafting, The Greater Cause). For those who want something more than a track date but can’t accommodate a full band – the “John Schlitt Trio” is the solution! 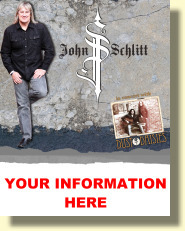 NEW: John Schlitt concerts are now multi-media! Performances are interspersed with concept videos from the past and present, such as “I Am On the Rock,” “Show Me the Way,” “The Grafting,” “Take Me Home,” “Just Reach Out,” and of course, “Beyond Belief,” making for a nostalgic trip back in time while hearing the vocals sung live by the one who made them famous! 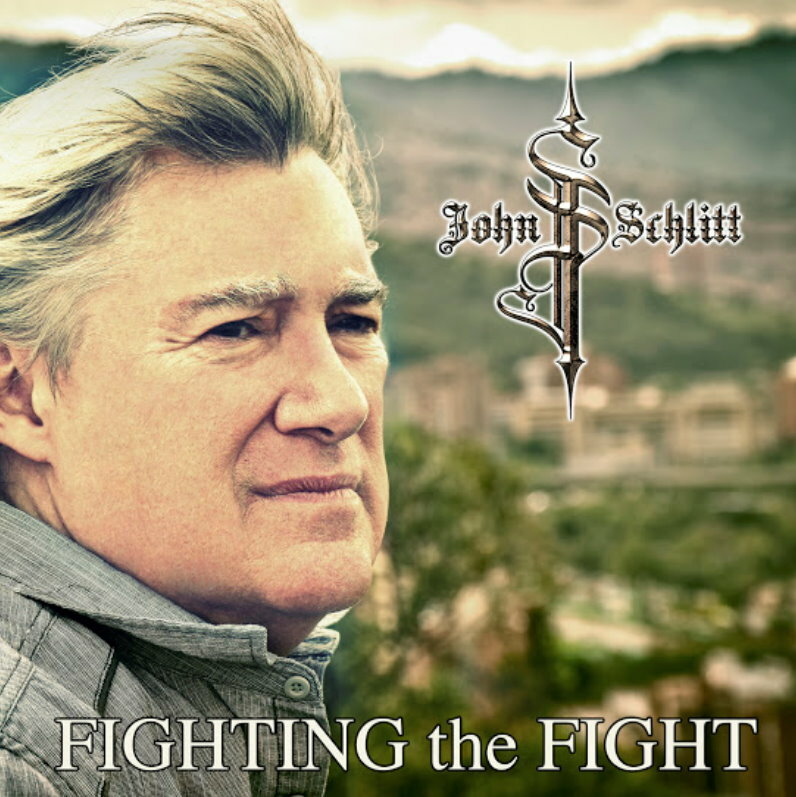 John Schlitt solo, with a band or as a trio – the choice is yours!